Where are the Electrical Engineering jobs? You’ve toiled away at school and earned yourself a shiny degree in electrical engineering. So where are the jobs? While there are many different factors that come into play when looking for a job that’s right for you, picking an area that employs a huge number of electrical engineers might be a good place to start. According to the Bureau of Labor Statistics, the state that employs the most electrical engineers is (no surprise) California, with the most densely populated region being San Jose, Sunnyvale, and Santa Clara. Check out our map below for a state by state overview! The Bureau is releasing the latest edition of the Occupational Outlook Handbook later this month so stay tuned for our in-depth breakdown of the current salary, demand, and occupational growth of electrical engineering positions! Author Zak HomuthPosted on June 12, 2014 July 15, 2016 Categories ArticlesLeave a comment on Where are the Electrical Engineering jobs? 1. School gets you half way there. The rest is self-driven. There’s really no school for hardware design. I’ve gotten way more out of self-directed learning than sitting in a classroom. Make sure to learn from mentors, regularly read articles written by industry experts, attend seminars, read white papers from big semi companies, and participate in forums. It’s good to look beyond what you think you know. Don’t just assume the way you’ve been doing it is the best way. The degree of collaboration and knowledge-sharing in hardware pales in comparison to the software world. Even if it takes you 7 days to figure out, causes hair loss, and many sleepless nights, you’ll come out of it way more equipped with hardware knowledge than before. 3. Every problem has a solution. Every single one. That doesn’t mean you’ll like the solution. But it exists. And if you keep plugging away methodically, trying things, experimenting, trusting your intuition, seeking help when you can, a clue will appear that will ultimately be the turning point in figuring out a problem. Remembering this has helped me get through some despondent times when I was stuck on deep FPGA timing problems, power supply start up issues, and signal integrity mysteries. 4. Power supply problems can be like the chicken-or-the-egg conundrum. Fixing a power supply problem can be extremely tricky. While debugging, you can be damaging your board and changing the very thing that you’re debugging. And just because a section of the board powered up and started to work, doesn’t mean it will continue to work. Try to choose power supply devices that are debug-friendly (i.e. a digital controller that you can read status from). Be methodical and power up each supply one by one. Build in debugging test-points for all important circuit nodes and pins on controller chips. Power-up LEDs are super helpful. This way, fixing the problem won’t be like untangling one long piece of string. 5. Never underestimate the value of good hand-soldering skills. Just like it doesn’t make sense to go to fashion school and not learn how to hand-sew, not knowing how to hand-solder will come with many limitations. You’re going to come across a number of instances where you’ll have to rework your board: parts have to be removed and replaced, passives have to be changed, jumpers have to be added, etc. Knowing how to solder by hand will open up a number of new debugging channels for you, allowing you to pinpoint problems more effectively. 6. There’s great knowledge value in imparting what you know to others. Nurture a co-op student or intern. Teach them everything you know. You’ll be surprised at how hard it is to support and explain what you’ve always understood to be true. Not only will this be valuable for the listener, but verbally walking through things will deepen your own comprehension on the topic. In the past 5 years there has been a huge swing in the popularity of 3D printers in the startup, maker and hobbyist communities. With the release of the Reprap – the first ever self-replicating ‘manufacturing’ machine – and Makerbot, thousands of 3D printers have followed to fundamentally change the world and face of the hardware revolution. 3D printing’s most obvious benefit would be its ability to rapidly prototype an idea. Taking lead time from weeks to hours has changed the capital and time cost of prototyping a product. So far, the results have been profound. Never before have you been able to “compile” your project to real life. Ideas are becoming a real thing with the click of a button. 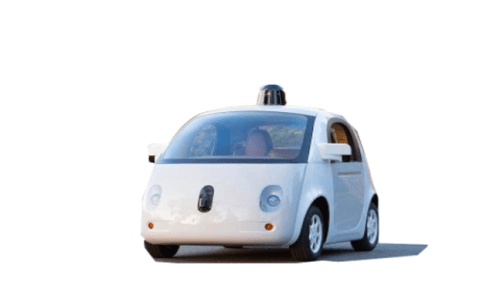 With more iterations comes faster innovation. With Open Source 3D printers hitting the market, the price to own a printer has dropped an order of magnitude, making it actually practical to have your own prototyping machine. Just like when the printer (the regular paper variety) became a household item, 3D printers are changing the mindset of what you can do on your own. This is everything from making hard-to-order parts to an army of toy soldiers. Or building your own house. Some Dutch architects have already started the first 3D printed house in Amsterdam! Think grabCAD and Thingiverse. Communities of designers have flourished from the plummeting cost of having something printed in conjunction with the explosion of free and open designs. Much like early open software libraries, open CAD models are making industrial design a collaborative industry where new products are freely created, while repetitive designs are crowd-sourced. The advantage of manufacturing in Asia is price. With the drop in equipment cost and minimal need for human interaction, the value gap is steadily closing. In the coming years, expect industrial manufacturing to move closer to where it is actually designed and being sold. The way we design and build electronics has already changed and will continue to evolve a tremendous amount: Printing circuit boards at home, not relying on an obscure manufacturer in China, etc. But other verticals will benefit from the technology and many of them have already started using it at a wide scale. Anything that exists in liquid or powder form can now be printed. That translates to around 75% of the ingredients that are most commonly used in industrial food supply chains today. Next Christmas, sales guys will 3D print chocolates and send them to their best clients (if they haven’t already started). Soon, making kids eat their veggies will not be an issue as their meals will be shaped like their favorite superhero. Disruption it is! Taking 3D printers and combining it with other sciences is really, really cool. Take an emerging technology and combine it with leading edge science and you get magic: 3D printed organs and the first 3D printed skull… enough said. When you’re stuck in an isolated place where FedEx can’t deliver the replacement parts you need for the Apache, printing them on-site will be the fastest and cheapest way to move on. Roger that. On the flip side, the fact that 3D printed guns became a reality is probably one of the most scary consequence of the printers’ spread. And the first gun that was made – the Liberator – is both dangerous when it works and when it doesn’t. Remember as a kid when you thought about all the cool upgrades you could apply to your toys? Kids won’t have to experience this frustration of never being able to play with a Spiderman action figure that wears a green cape, has a black horse, and a huge laser gun. They will just download open source models, modify them and 3D print them. Broken? No tears. Just press Cmd+P! I was on the phone with Don Carli the other day and we talked about 3D printing applications to the automotive industries. He told me BMW was already doing it, which surprised me a little, but it makes a lot of sense. Bentley also 3D prints small and very complex parts for their new models. Changing the way manufacturing is done will benefit a number of different industries as well as economies . They will no doubt become faster and more agile as 3D printing becomes more precise and affordable. The team lead or line manager enters the room and calls a department meeting or a design review session. Suddenly, almost everyone on the team starts mumbling or reacting with groans. You’ve probably all experienced this situation. As a hardware guy, you have little tolerance for interruption, especially for long and tedious meetings that impede your productivity. The idea of having to sit and listen to other people discussing a blurry projected schematic, or working through a printed PDF booklet just so that your design-challenged colleague at the other end of the room can find out what he’s doing wrong, can be really upsetting. The concept of design review has been around for a long time. Everyone knows the value of double-, even triple-checking your work (think back to elementary school). Every discipline has worked out a formal or informal collaborative process for checking and validating work: Writers have editors, accountants have auditors, and software engineers came up with pair programming a decade ago. There used to be a time when the conceptual design phase for software development lasted much longer than it does today. But it eventually became widely recognized that the static, non-iterative model of development (school teachers call it the waterfall model) was not effective in producing quality products on a competitive schedule. So software development evolved to what it is today: agile and iterative. Its rapidly-changing nature creates continuous opportunities where peer code review is valuable and necessary for quality results. Egos, isolationists and crappy toolsets. Reading those lists of benefits, it should be a no-brainer to implement design review into the development cycle of every project. And yet, many hardware companies still don’t have peer review as a regular and mandatory part of their design process. Why? There are two very straightforward answers when you dig into the basics of human psychology. Let’s start with ego. 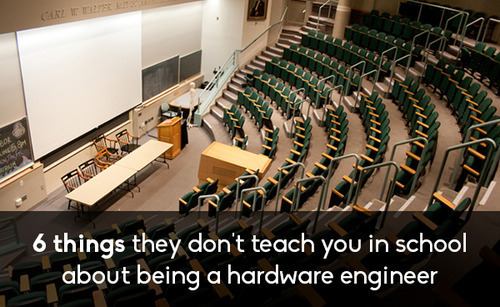 We’re talking about hardware engineers right now but this applies to a vast majority of people at their workplace. We naturally feel like our work is an extension of ourselves. Someone judging our work is like having them judging us.. Two different types of people/engineers emerge at this point: The first class consists of collaborators, team players, and those who see it as constructive. When confronted with a problem they can’t solve, they will naturally turn towards a peer who knows the answer. For these guys, peer review is a beneficial process. The second class is made up of isolationists. When confronted with a problem they can’t solve, they would rather unproductively try to find a workaround for hours (even days) rather than reach out to their peers for help. These guys can’t admit that someone else may know something they don’t. In 2002, it was reported that the average career in high-tech lasts around 8 years. The isolationists are doomed for a shorter one, as their body of knowledge exclusively lies in what they are able to figure out on their own. Overinflated egos can’t be good team players because their faculty to share with and learn from others is impaired. On the other hand, collaborators showing a continuous interest in learning will increase and sharpen their skills, remaining productive (and employable) in a constantly-changing field. Design review can be painless. Reviewing hardware designs has not been commonly included in the standard development cycle in a majority of companies for another reason: The tools are not adapted. PDFs, projectors, meeting rooms and highlighters are completely outdated ways of reviewing design. Back-and-forth email threads and over-the-shoulder methods are also inefficient and a waste of time. The key is to introduce a technique which allow each member to contribute to a review when they’re focused and willing to do it. It also shouldn’t include an archaic, middle-step that slows down the execution of fixes. If you’re thinking about implementing an efficient design review process within your team, let us know. We’re happy to help. There’s no longer an excuse to not review designs!